Working with many types of individuals, families and institutions has given our team the experience, perspective and skill to help you build a financial future. You will work with professionals who can translate your goals into a custom designed wealth plan — customized to you and your needs for your financial future. Moreover, because we work as a team, you will always have access to a member of our team who understands your specific goals and strategy. We strive to help you achieve your objectives and provide financial guidance to help manage wealth from generation to generation. Neil A. Fox and David H. Fox Named to Barron's Top 1,200 Financial Advisors? Neil A. Fox and David Fox Named to Barron's Top 1000 Financial Advisors? David is a Senior Vice President , Financial Advisor and partner in the Fox Team at Morgan Stanley. 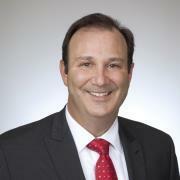 He has worked in the financial services industry since 1991, exclusively with Morgan Stanley and its predecessor firms. 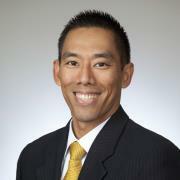 As a Certified Financial PlannerTM, he utilizes his knowledge to design wealth management strategies for his clients. David was named one of the Top U.S. Financial Advisors by Barron’s in 2011 and 2012, and one of the Top 1,200 Financial Advisors in 2014, 2015 and 2016. He was also recognized as one of the Top 400 Financial Advisors by the Financial Times in 2015 and he has been included in Morgan Stanley’s prestigious Master’s Club and President’s Council. David graduated from Ithaca College with a B.S in finance. He and his wife, Jaimi, have two children, Courtney and Brian. For years, he has been very active in the St. Andrew’s School lacrosse program. As a Senior Vice President and Financial Advisor, Neil listens carefully to his clients’ goals, values and concerns in order to customize wealth management plans that helps them achieve their financial objectives. He is committed to delivering exceptional service and developing long-term client relationships, many of which have lasted more than 40 years and include three generations within the same family. 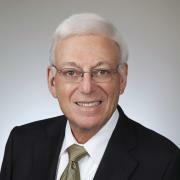 Neil has worked as an investment professional with Morgan Stanley and its predecessor firms for more than 50 years and has held the designation of Certified Financial PlannerTM since 1978. Throughout his career, Neil has received numerous accolades within the financial services industry. Most recently, he was recognized by Barron’s as one of the Top 1000 U.S. Financial Advisors from 2011 to 2013, and as one of the Top 1,200 Financials Advisors in 2014, 2015 and 2016. He was named one of the Top 100 Financial Advisors by Registered Rep magazine in 2009 and one of the Top 400 Financial Advisors by the Financial Times in 2015. Neil is a graduate of Rensselaer Polytechnic Institute with a bachelor’s degree in engineering and he received an M.B.A. from Rutgers University, majoring in finance and economics. He has been married to his wife, Ina Rae, for 60 years and they been blessed with three sons and six grandchildren. In his spare time, Neil is an avid golfer and a Silver Life Master at bridge. He is active in a number of charities and serves as the national treasurer and a board member of American Friends of Magen David Adom (the Israeli Red Cross), from which he and his wife received their highest honor, the AFMDA Humanitarian Award. Brian has more than 18 years of experience in the financial services industry. He joined the Fox Team in 2010 to work with institutional and high-net-worth clients. He takes a holistic approach in the selection of investment products to help them reach their financial goals. In addition to financial planning fundamentals such as asset allocation and retirement strategies , Brian focuses on strategic lending and insurance coverage. He is a member of the Morgan Stanley Pacesetter’s Club, and he was a member of the firm’s Blue Chip Council from 2008-2009. Brian graduated from Florida State University with a B.S. in finance and marketing. He is actively involved with Boomers Volleyball Academy, where he has coached athletes toward college and Olympic careers. As a parent of a daughter with a hearing disability, Brian especially values his participation with the Alexander Graham Bell Association for the Deaf and Hard of Hearing. Cherie has been a member of the Fox team for more than 22 years. She originally joined the group as a Financial Advisor in 1994, and later she decided to take on a management position in order to assist with daily operations for institutional and retail clients. In this role, she addresses and resolves clients service inquiries. 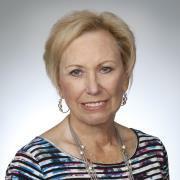 Prior to joining the team, she worked in real estate and insurance sales in Baltimore, Maryland. Cherie and her husband, Herb, have seven grandchildren. She enjoys golfing and is an active member of the Weston Hills Country Club, as well as several other philanthropic organizations. Learn More about Neil A. 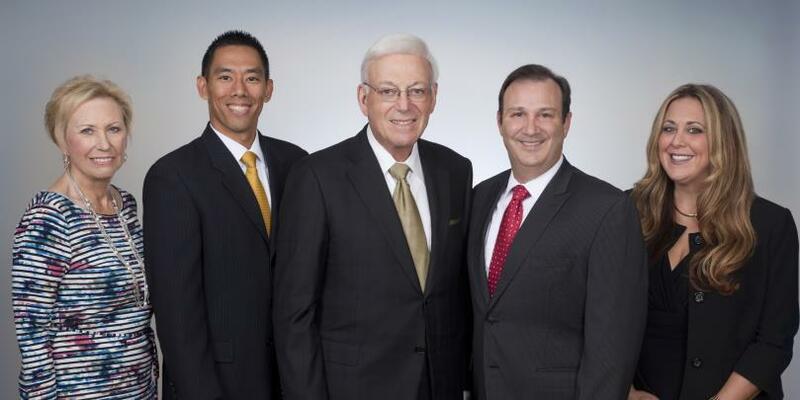 Fox and David H. Fox Named to Barron's "Top 1 200 Financial Advisors"